People are fond of completely different vacation styles: while some prefer to strategically limit the movements to the walkway from a beach to a hotel bar, others would be happy to ride thousands of miles in a week’s time. Experienced travelers agree that renting a car is one of the best ways to get a true hands-on experience in a different country. However, there are some pitfalls. Since the holiday season is upon us, we prepared a list of simple tips to help you minimize risks when renting a car abroad. Choosing a rental company can be as easy as it can be challenging. Renowned travel websites and aggregators offer the best tools to compare prices and, at the same time, see rental company’s average score based on customer feedback. However, it’s not enough to put trust solely in a high score and a renowned brand name. The majority of large rental companies operate based on the franchisee system. If you once were completely happy with the quality of service at the Best Cars Ever office in Germany, don’t expect the same level of quality at a Sicilian branch of the same company. You’re better off relying on feedback of the company’s service in the region you are traveling to. In their effort to have the most appealing price tags, cunning rental companies employ a lot of tricks, which at times can result in a much higher price than previously announced. One of the most widely used approaches is playing with the gas. As a rule, in Western countries you rent a car with a full tank and have to return it with a full tank as well. If you don’t have a chance to drive to a gas station on the way back (which is quite often the case when you rent a car in the center of a large city), then you have to pay for that. Of course, this includes a huge surcharge only limited by the owner’s good will. In Eastern countries, though, the opposite approach is applied: you get a car with a very modest amount of gas in the tank, enough for a short ride to the nearest gas station, and you have to return the car with a tank as empty as before. Quite understandably, it is hard to forethought your last refueling precisely, so you’d most probably give away several liters of gas to the rental service. It’s a small yet unpleasant situation. Some rental services have surcharges for mileage above the set limit, for returning a car at a different rental site, or for cross-border traveling (even in European Union, where there are no borders de-facto). All of these details have to be considered when calculating the total cost. It may well be that after all corrections are applied, even the most ‘affordable’ option would not be desirable. 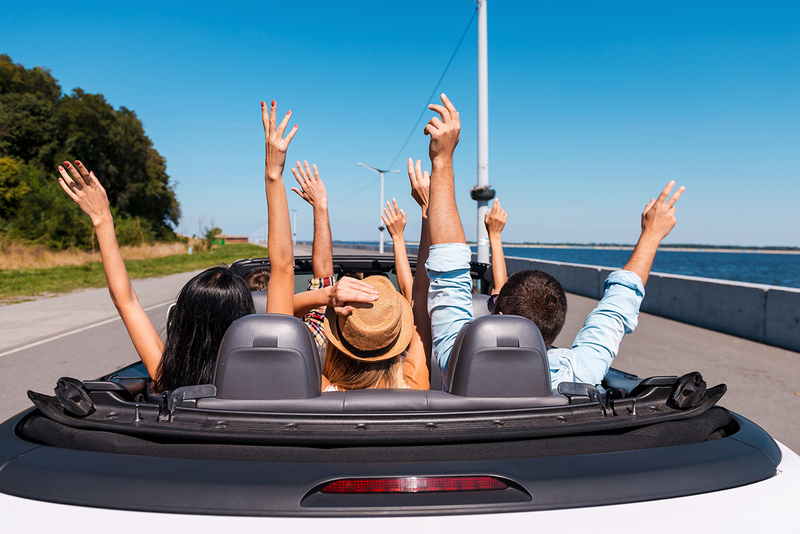 In the U.S., some car rentals do not include insurance (not to mention the taxes, which are always applied only after the subtotal is calculated). And it’s a big deal: in some cases, insurance payments surmount the rental costs themselves. By the way, let’s talk about insurance. Choosing a right insurance plan is paramount. In the majority of cases, only basic liability insurance and straight deductible insurance of, for example, $1,000, are included into your plan. So, if due to damage the repair costs totaled $2,000, you’d pay half of it and no more for sure. The last part is important, because you won’t be able to influence the estimation of inflicted damage costs as you would back home. The basic insurance does not cover the damage inflicted onto windshields, tires, roof and bottom, and has many exceptions which are, as usual, put in fine print at the bottom of the rental agreement. The rental company would most likely suggest charging you on top for an option to exclude the refundable excess from your insurance plan. Don’t be lured into accepting this offer. Firstly, the surcharge would be quite high, at times surmounting the total cost of the rental. Secondly, this ‘complete’ insurance plan might not cover some types of damage like the damage of tires, windshields, etc. Usually, there are specialized insurance companies who would offer a more beneficial option for refundable excess. They can be found anywhere on Google – just search for “Car Hire Excess Insurance”. In this case, you’d pay way less and get much better coverage at the same time. This might even include an exotic option of Road Rage coverage, so if an enraged person involved in an auto incident with your car attacks you, you’ll be compensated for that. 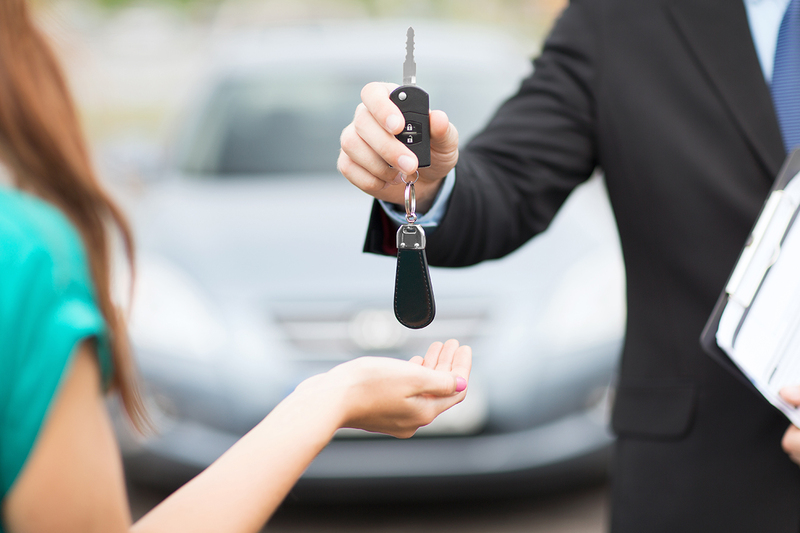 There is only one advantage in getting full insurance coverage with a rental company. When your rental offer is processed, the supplier might place a hold for a specific amount on your credit card (refundable excess and the rental costs). Moreover, some rental offices tend to hold a much larger sum, just in case. If the car is returned in an appropriate condition, the held sum is returned to your account. However, this process might take dozens of days, so you’d better use a credit card with an extended grace period. Here are some useful tips about the cards: When collecting your car, make sure to have an extra card with a substantial sum of money on it (considering the cost of refundable excess and so on). Banks may decline overseas transactions for the sake of ‘better security’, even if you have already paid for a hundred of other things while traveling. A call to the bank is not always a good solution. I have personally experienced such a situation at the Barcelona airport: the transaction on the credit card issued by one of the top Russian banks would not be authorized successfully. Having lived through an hour of hectic calls to Moscow, I had to give up and ask to rent a car using my fellow traveler’s credentials. When collecting a rented car, examine it very thoroughly and find all damage marks, even minute ones. Make sure they are all indicated on the rental documents. The more scratches are documented, the better: it will be instrumental to use it for the sake of full amnesty for little chips and scratches you might get on the road yourself. It would not be out of place, especially in Eastern countries, to take photos of your rented car from all sides and examine the tires. If a tire blows up after a long ride, it could be quite an unpleasant surprise. It can be very challenging to drive out of an airport, especially if it is a huge international hub. So if a GPS kit is not included into your rental plan, make sure you have addressed this issue on your own. A smartphone with a car mount kit is enough, and any free app with offline maps is capable of routing you through. Before renting a car, you should read all traffic regulations in any country you travel to. Of course, many road signs and basic rules are universal, (this is not the case for U.S. travelers in Europe though). However, you might find yourself in a situation when a small sign with a miniscule message in local language meant ‘limited traffic zone’ with severe consequences for non-residents. Also, here’s a piece of advice based on my personal experience: even if you’re a very cautious and skillful driver, make sure to have studied the principles of road accident registration before you travel. Otherwise, you might find yourself in a situation where you have to study this topic in fast-track mode with a person who neither speaks your language nor is sympathetic to you. And, in accordance to Murphy’s law, such a situation would always happen in a dead zone with no Internet to help. There is one more big-R Rule, which I would refer to as ” the #1 Rule”: never leave your personal valuables in a car in a plain sight. Once my friends traveled to the Canarias and were careless enough to leave a wallet with the last day shopping money and two iPhones in a car. Of course, their stuff was gone in a snap. They were 100 meters away for the mere minutes it took them to take a couple of photos and, as well, took the thieves to get away with their belongings. And here is another sad story which happened to me in not-so-dangerous California. And the final advice to you: don’t get rid of the papers after you have finished your trip. Rental documents justifying ‘No complaints’ from the rental company might be useful in an event of having to dispute an unexpected charge of 700 euros for some ‘unexpectedly found chips and scratches’. The parking receipt, for instance, would help you to avoid double payment for a municipal fine issued by mistake. Don’t be intimidated to dispute additional post-factum surcharges or fines which you consider wrong. There is a small detail: many rentals are franchisees of major rental chains. The rentals themselves would directly benefit from fining you, as it is an additional stream of revenue for them, which is totally worth deploying some booby traps for customers. In case of a dispute, you would be talking to a representative of the ‘big’ rental company. Those folks are struggling to maintain the brand reputation and seek positive customer feedback, so they would be more willing to negotiate. Of course, the rental procedures should be completed in advance: renting a car on the spot will result in far less affordable prices. Also, as we are well into the 21st century, all booking processes are best to be handled online. When renting a car, you will have to supply a credit card number, your driver license credentials and your passport data, along with a lot of personal information. Be careful when doing that: watch out for phishing sites which mimic the websites of major rental chains. If something feels wrong, don’t risk it, just find a trusted website. In order to fully secure your online payment, try Safe Money option in Kaspersky Internet Security.